Yo! That's not fan fiction rendering, that's straight from Microsoft: An honest to God QWERTY that slaps underneath your Xbox controller. Why do you need that? Well, you might have heard some rumors about the Xbox Spring Update over the weekend. Those were true. So, the QWERTY isn't coming 'til Summer, but it'll make text input, and that Live messenger chat a lot more bearable than it would have been using just the onscreen keyboard. And background download mode that shuts down most of the Xbox 360, just keeping the HDD, ethernet, and some logic alive for DLing. When the transfers are done, the Xbox shuts down proper. Before then, the status lights will glow in a particular way that indicates its near-comatose but not yet powered down state. •The Marketplace gets its own Blade on the top menu level. The blade is red, btw. •New autodownload feature that'll grab Live arcade demos as they're available. Takes a gig or so. •"Progressive download controls" let you ff, rw, and pause video as its downloaded from Marketplace, too. REDMOND, Wash. — April 8, 2007 — Your Xbox LIVE® friends list is about to get a whole lot bigger. Microsoft Corp. today announced the launch of Windows Live™ Messenger on Xbox 360™, connecting friends across Xbox 360 consoles, Microsoft® Windows®-based PCs and Windows Mobile®-powered devices. 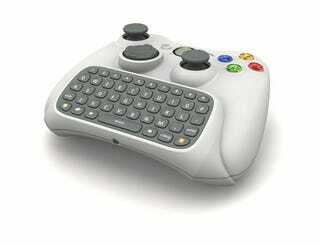 With this update to Xbox 360, friends and families can easily connect and chat directly from their television using Windows Live Messenger, a network of more than 20 billion relationships and more than 260 million active accounts. "Bringing the largest IM community in the world, Windows Live Messenger, to Xbox 360 makes sense, as Xbox LIVE has really become the largest social network on television," said Jerry Johnson, product unit manager of Xbox LIVE at Microsoft. "For our growing community of 6 million on Xbox LIVE, using Xbox 360 is a very social, connected experience. They are using Xbox 360 to play games, music and movies while simultaneously communicating with one another through video, voice and text chat. With this announcement we are simultaneously expanding the access of Xbox LIVE users to existing friends and family while introducing Windows Live Messenger users to the benefits of Xbox 360." A new Xbox LIVE Marketplace blade lets Xbox LIVE members access the content they seek — whether it is game content or TV shows and movies (available in the United States) — from one place on Xbox LIVE. Updates to Xbox LIVE Arcade allow owners to quickly see which Xbox LIVE Arcade games their friends are playing and join in the fun. Xbox LIVE members can also compare progress of leaderboard scores and Achievements directly with all friends on their friends list. Expanded Tell a Friend capabilities make it easier than ever to boast about Achievements and high scores. The Spring Update is free beginning the week of May 7 and is easily accessible to every Xbox 360 owner through Xbox LIVE or on Xbox.com.